The 2018 Africa Health Forum is here! Come and join us to discuss solutions to bring health equality to vulnerable and minority populations! 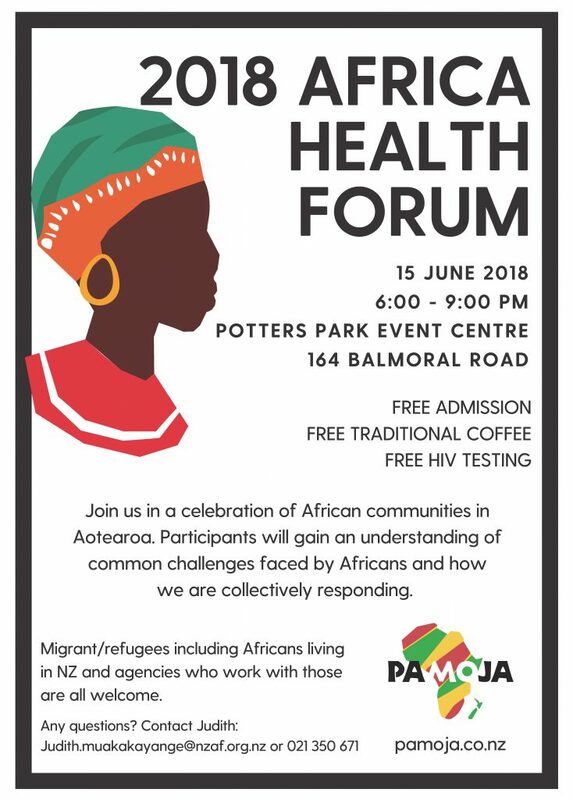 The African communities in Aotearoa New Zealand face great challenges when it comes to health equality; this is a great occasion for everyone to understand what these challenges are, and to discuss possible solutions to overcome them. As Aotearoa New Zealand is becoming increasingly diverse, this forum is a perfect opportunity to talk about healthcare issues that are relevant to our diverse communities. We welcome anyone especially migrants/refugees including Africans living in NZ and agencies who work with these communities. This event is free and we serve free traditional coffee too! We will also be offering free HIV testing at the event and we would love to see you all there! Where: 164 Balmoral Road, Auckland.